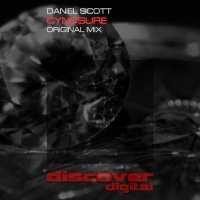 Daniel Scott delivers a full on trance builder with Cynosure. Driving bass a hint of the melody that is to come are the focal points of the build which opens out into its full glory in the breakdown. Big and beautiful, Cynosure wears its trance colours proudly on its sleeve - and well it should. This is grade A trance! 'Cynosure' is available now from Beatport and iTunes.